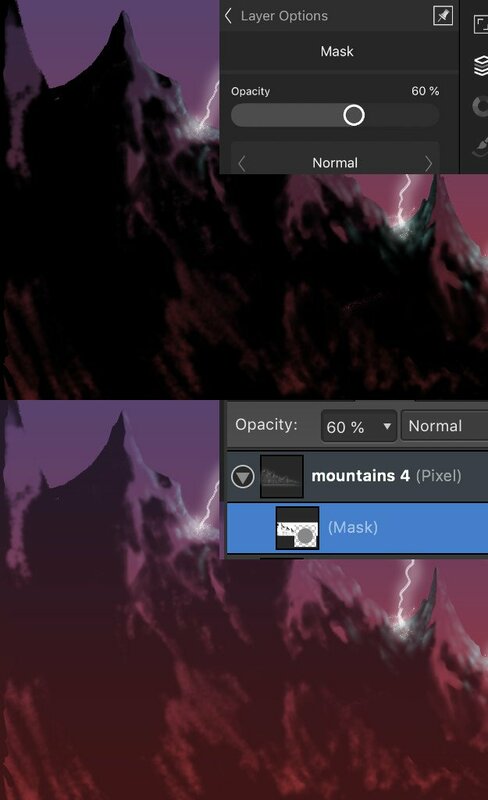 I've just encountered what appears to be a pretty major compatibility bug between Affinity Photo for iPad and Affinity Photo for MacOS/Windows. I created an illustration on the iPad, and then sent the file to a collaborator on Windows. He said the file looked completely different from the comps I'd been sending, and when I loaded the file in Affinity Photo for MacOS, I saw what he was talking about: the way I had used alpha masks had completely changed. As best I can tell, the iPad version fades mask transparency against opaque, while the desktop versions fade against transparent! Is it an RGB or CMYK document you're working on? Would it be possible for you to attached it please so we can take a look? I tried messaging you a link to the file, but it said you can't currently receive messages. The file is RGB. Selection tool and pixel masks behave differently than vector masking. Would you be able to attach it to our internal Dropbox account using this link please?